Rediff.com's Sheela Bhatt presents excerpts from former national security advisor Brajesh Mishra's talk on the threat faced by India from its 'hegemonistic' neighbour. Former NSA Brajesh Mishra, during whose tenure India-China relations had improved significantly, has said that China's present threat to India is more dangerous than in 1962, when the countries clashed in a war, and that Indian politicians were to blame for India's weak defence position. Mishra, who was the NSA during the Atal Bihari Vajpayee-led government, pointed out at a book-release function in New Delhi that there has been a change in China's stand regarding Kashmir, which could lead to a bigger threat. India should remember that "we had two fronts since 1962", he said. "But, importantly, these two fronts were never simultaneously active. In 1962, it was with China, and in 1965, 1971 and 1999 it was with Pakistan. The change that is taking place today in Chinese thinking is that Jammu and Kashmir is 'an issue'. "It indicates that it's possible, if not probable, that in next four to five years we may have to defend ourselves from both fronts at the same time." He said there has been no change in Pakistan's policy as it has been continuing with what it has been doing. "The Army of Pakistan is the State of Pakistan. They are not only guardian of Pakistan, but consider themselves to be the 'State'. On three questions they have had supreme authority: on Pakistan's relations with India, their relations with Afghanistan and the nuclear issue. So, Pakistan has not changed, while China has become more hostile," Misha said. At the seminar, Mishra also released two books -- The Dragon's Fire: Chinese Military Strategy and Its Implications for Asia by Rajeswari Rajagopalan and Arming the Indian Arsenal: Challenges and Policy Options by Deba Mohanty published by the Observer Research Foundation. Mishra said he did not believe the view that China was an enigma. "It is very clear to me China has one goal, which it is pursuing since 1979 when Deng Xiaoping came out with his policy of modernisation. Thirty years later, we can see the results in economic and military fields. China is very strong compared to India. We are now facing the problem today which is much more dangerous than what we faced in 1962." "In the last two years, China has become very aggressive in its attitude towards India, whether it is on the Line of Actual Control or through their writings of the think-tanks or other official media," he added. Mishra said China was turning hegemonistic. "It's not true that China has settled all its boundary problems," he said, adding that China had maritime issues with Japan and South Korea, and wants to prevail on South China Sea over the Philippines, Vietnam, Indonesia and Malaysia. "China is just waiting for a few more years before it asserts itself in the area," he added. According to Mishra, China has three rivals in Asia: Japan, Australia and India. While Japan and Australia have nuclear umbrellas for their protection, India has none. "India is not prepared to face the situation," he declared. Mishra blamed the country's electoral politics and corruption for the country's weak position. There is a "lack of national security culture amongst politicians," he said. Weapon procurement takes long time in India, the former NSA said, adding that even if India did place an order for the 126 fighter jets next year as planned, they will be delivered only after 10 years. However, he said, "It is unlikely that the order will be placed next year and when the aircraft are delivered, they will be outdated." Mishra alleged that the national security was being compromised because of the electoral politics of politicians. "Even 20 years after the Bofors scandal, the burden of the controversy is still on the shoulders of politicians. They are afraid to take decisions that might generate controversy. They have fear of allegations of corruption," he said. Mishra said that unless India took the issue of national security seriously, it would never be able become a great power. He minced no words to say that India should not trust China, whose only all-weather friend was Pakistan. "They don't see any other country, including Russia, as its friend," he said. "Recently, Russian Prime Minister Vladimir Putin went to China. They signed a contract worth around $5 billion. After a few days, China blamed Russia saying it was a 'fair weather friend'," Mishra said. He said China wants a G-2 with US and itself alone, however Russia is contesting its claim into the group. Mishra conceded that China had "full control" over Asia today, and that India should defend itself through its policies and diplomacy, and should continue to rise economically. Former army chief General V P Malik, who also attended the event, said the nexus between defence public sector companies, the ordinance boards and the defence ministry has created a "protective mindset", which did not facilitate private sector participation in defence production. 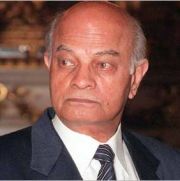 General Malik, who had to face the Kargil War with "whatever we have", said the absence of a "stated defence procurement policy" was a big problem in meeting the requirements of the forces. He said there was an urgent need to include defence economists to build an integrated defence planning. The former army chief warned against the territorial ambitions of China, as there is a gap in views between China's defence organisation, the Peoples Liberation Army, and the political leadership. Brigadier (retired) Gurmeet Kanwal, director of the Centre for Land Warfare Studies, said though there was a strategic stability along the India-China border, there was aggressiveness at the tactical level. Noting that the gap between the capabilities of India and China were growing in favour of "our big neighbour", he opined that it would be better to resolve the border disputes quickly because "China will be capable of dictating terms in 15 years from now".